Matthias Oertle is a partner in the Zurich office and heads the employment and pensions practice. He is an expert in corporate law and also advises private clients. Mr Oertle attended the University of Zurich in 1986 (lic iur) and in 1990 (Dr iur). He was admitted to the Zurich Bar in 1988 and joined Lenz & Staehelin in 1991, becoming a partner in 1996. Some of the works of which he is author and co-author include ‘Employment and Labour Law – Switzerland’, in European Lawyer Reference Series (fourth edition, London 2012); ‘Employment Law in Conflict with the Regulations regarding Excessive Executive Remuneration’, Gesellschafts- und Kapitalmarktrecht 1/2014, p. 44 ss; and ‘Commentary on the Regulations regarding Excessive Executive Remuneration, Art. 28’, GesKR-Kommentar VegüV (Zurich/St. 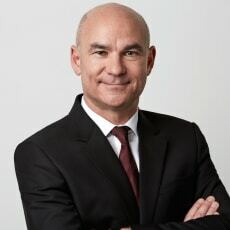 Gallen 2014).